Kid's Omega-3 DHA helps your child live out their potential. 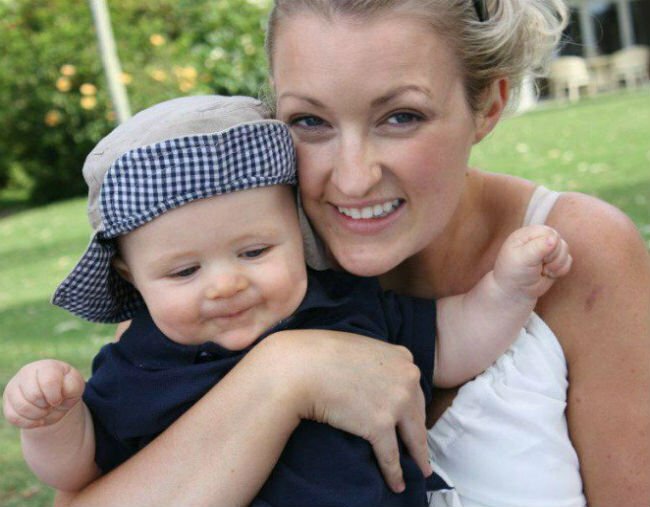 A mum-of-three talks about the challenges of getting them to eat healthy. Every mother wants to give her kids good nutrition for healthy growth and development. But with so much information out there, it can be hard to know what’s really necessary (and working out how to get them to eat it in the first place!). As our children grow and learn, it’s our job as parents to help support their healthy development with the right nutrition. One of those essential nutrients is Omega-3 DHA, which is one of those words you’ve heard floating around without really thinking about what it does and how important it is. Omega-3 DHA is an essential fatty acid that the brain needs for healthy cognitive development; specifically those areas responsible for healthy learning, behaviour, cognition and eye function – making it especially important for kids. "...it’s our job as parents to support their development with the right things." Image: iStock. Our bodies don&apos;t just produce Omega-3 naturally, meaning we need to get our intake via fish in the diet or through a supplement, like Nature’s Way Kids Smart DHA 300mg. As I mentioned, Omega-3 DHA is vitally important for children given the accelerated development the young brain goes through. Studies have shown that a lack of Omega-3 DHA may be associated with these key areas of brain function, but may support eye health and overall behaviour - all of the things that we as parents want to support during those early school years. Further studies have shown that primary school-aged children who are taking a regular Omega-3 DHA supplement can help improve their behaviour and learning, including reading abilities (compared to those who don&apos;t). That&apos;s all well and good, but how easy is it to integrate into a kid&apos;s diet? Omega-3 DHA improves behaviour, which means more smiles like this one! Image: iStock. I&apos;m a realist. I&apos;ve got three (and a half) young children of my own and I know that sometimes (a lot of the time) getting them to eat the right things can be a challenge. I can&apos;t tell you how many nutritious dinners have made their way onto my table at night, only to be left staring back at me long after the children have gone wondering silently what they did wrong! That&apos;s why after looking into the research, I started giving my children Omega-3 DHA. My eldest son started school only this year and I wanted to give him the best possible start in the classroom. I chose Kids Smart DHA 300mg because it was the highest strength Omega-3 DHA available on the market, and it was easy for kids to take (I didn&apos;t need any more battles besides the ongoing get dressed/brush your teeth/where are your shoes morning routine!). The brain needs Omega-3 DHA for memory, learning and rationalisation. Image: iStock. It&apos;s nothing like the fish oil of yesteryear that I remember my mother trying to shove down my throat. Instead, it&apos;s available as a pleasant-tasting orange "burstlet" that my kids actually ask for. If you&apos;ve got a tricky child on your hands, you can always adopt the twist and squirt approach by squeezing off the tail end and adding the droplets either directly to your child&apos;s mouth or into their food. I liked that I could give it to all of my children after the age of 12 months and know that they were getting the right support for the important developments their little bodies were going through. From a mum perspective, I know that my kids are getting the good stuff and I don&apos;t have to fight them to take it. That&apos;s a win in my books. Have your kids tried Omega-3 DHA? Tell us your thoughts below. This content was created with thanks to our brand partner Nature&apos;s Way.